When I lived in the Pacific Northwest, I could leave bread on the counter for days and it would stay fresh. 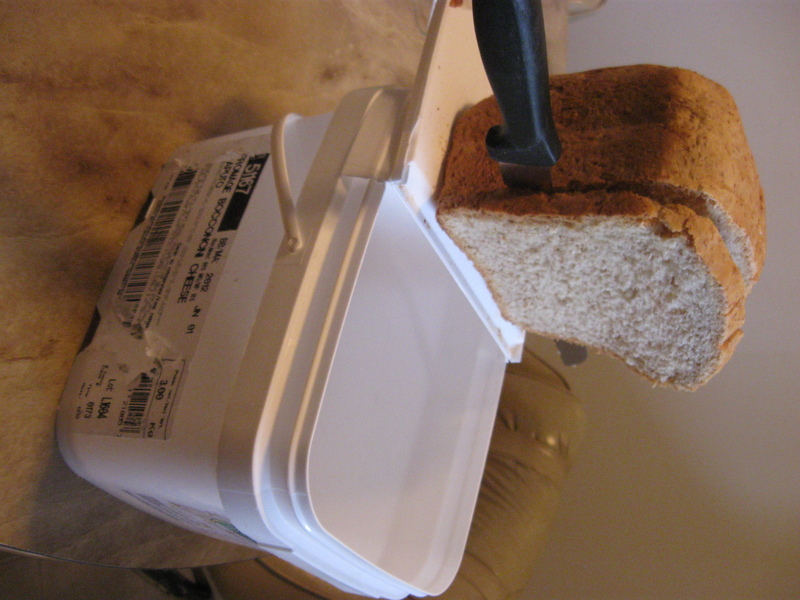 Since moving to the frozen wastelands of northern Alberta, I’ve had to take steps to preserve my homemade loaves if I don’t want to wake up to dried-out bricks for breakfast. 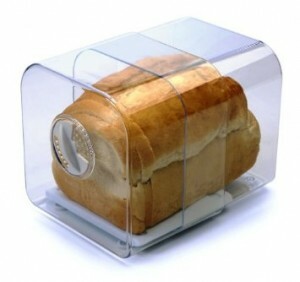 Would you believe that I considered purchasing a bread keeper like this one before I realized that I have the perfect sized bread bucket at home? 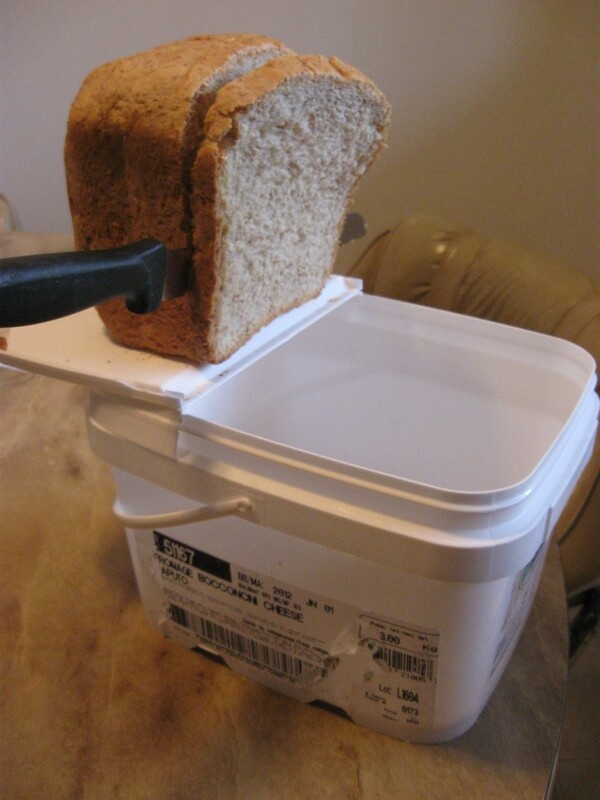 Not only does it save me from having to keep more flimsy plastic products around, but my pail doubles as bread cutting board AND crumb catcher. On a related note, I’ve put together an infographic on how I make perfect bread with a bread machine. Nice! I always just leave mine in the bag. I use this for home made bread, which I actually used to just leave right in the bread maker. My new dry climate calls for extreme bucket measures. Keeping a half or a piece of an apple will help you keep your bread from drying. I think people in Europe do this. Come on now, you have to give more details. The bucket shown is a repurposed _____ bucket….? I’ve seen that type bucket before, but can’t remember what product was sold in it. And just an fyi, if it wasn’t a food product in it prior, you really do have to be careful on repurposing buckets. What they had in them prior, what they are made out of does make a difference as to what you might want to repurpose them for. Some are definitely not good for food related repurposing projects. Some though safe in one respect, are not in others. For instance, my drinking water jug is safe unless I introduce hot water to it. Over a certain temperature, the plastic will start to break down and leach bad things into the water. So some research into the container material should be done prior to use.